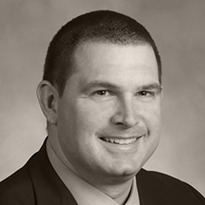 Thomas Perrault, CIC is a property/casualty insurance and bonding agent at Rich & Cartmill, specializing in the area of commercial construction and commercial surety bonds. He previously served as an Athletic Director at Cascia Hall Preparatory School in Tulsa for more than eleven years. Thomas holds both a bachelors’ and masters’ degree from the University of Tulsa, and is also a member of the Letterman’s Association, having played four years of football for the Golden Hurricane. Thomas was inducted into the Downtown Rotary Club of Tulsa in 2011 and is a trustee of the board of Friends of Catholic Education. He is also active in the Association of Building Contractors (ABC), Association of General Contractors (AGC) and American Subcontractors Association (ASA). Thomas and his wife Anne have three young children.